A fight is unfolding in the Western Hockey League minimum-wage class-action lawsuit over the privacy of current and former players who pursue a claim against the league for minimum wage, back pay and overtime. 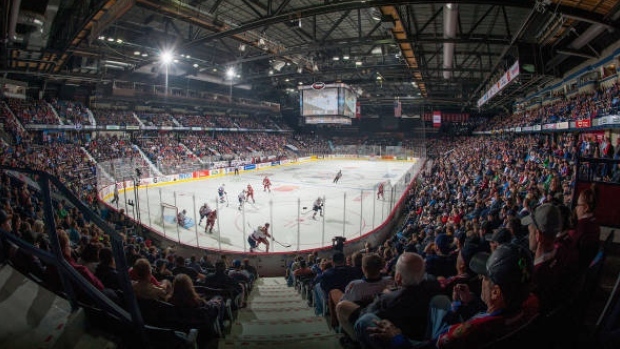 A year and a half after an Alberta judge certified a minimum-wage lawsuit against the WHL, lawyers for the plaintiffs and the league are now battling over how to notify those players about their right to proceed with a case or, if they choose, withdraw from the litigation. The two sides will appear at a hearing in Calgary on Monday to make arguments about the notice the players will be given regarding the lawsuit. The Canadian Hockey League and its three leagues have been battling minimum-wage lawsuits for the past five years. Current and former players suing the leagues have argued the teams are for-profit businesses and that players should enjoy protection under employment rights legislation. The leagues have countered that players are amateur student athletes and that they already have access to valuable educational scholarships. The legal battle has been pitched at every step. Lawyers for the current and former players want the judge overseeing the WHL case to help keep the names of players who proceed with a case against the league confidential. The plaintiffs are also seeking an order that would bar the WHL from communicating with players or their family members regarding the lawsuit, or from asking current and former players if they plan to pursue the litigation. The plaintiffs have proposed that the CHL, the WHL and all of its Canadian-based teams be forced to post a notice on their websites and in Canadian team locker rooms about the lawsuit. The plaintiffs also want the leagues and teams to provide a court-appointed administrator with a list of the potential class members and their phone numbers, email addresses, and last known addresses. While the plaintiffs have said the personal information of those who opt out should be kept private, the WHL’s lawyers want the judge to allow the league access to that information. The information of participant in class-action lawsuits is typically available to defendants. In this case, lawyers for the players say an exception should be made so that players and their families aren’t pressured to drop out of the lawsuit. In court filings, the WHL and it Canadian teams also have suggested they shouldn’t be required to post the class-action notice on team and league websites.